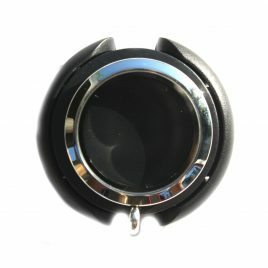 Alloy Black Badge Holder Locket is made from alloy and is rhodium plated. 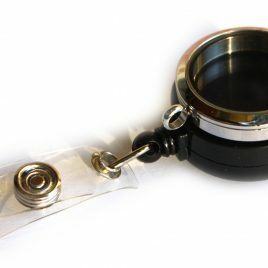 30mm locket Badge is Black. Badge Clip is retractable. Back clip does NOT spin. Silver Locket Color. 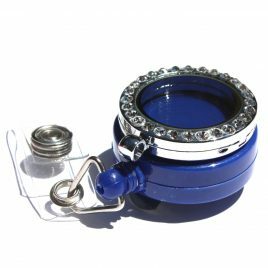 Alloy Blue Badge Holder Locket is made from alloy and is rhodium plated. 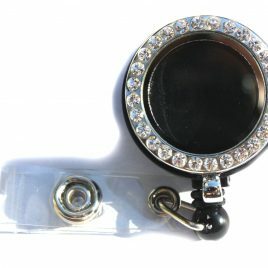 30mm locket with rhinestones Badge is Blue Badge Clip is retractable. Back clip does NOT spin. Silver Locket Color with rhinestones. Alloy Locket Stethoscope Tag The stethoscope tag is a plastic tag that fits right on your stethoscope. The locket is an Alloy round rhinestone locket. 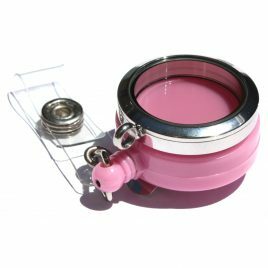 Alloy Pink Badge Holder Locket is made from alloy and is rhodium plated. 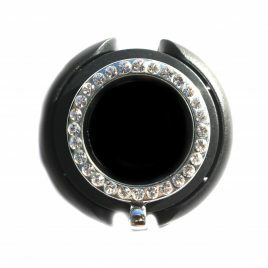 30mm locket with rhinestones. Badge is Pink. Badge Clip is retractable. Back clip does NOT spin. Silver Locket Color with rhinestone. 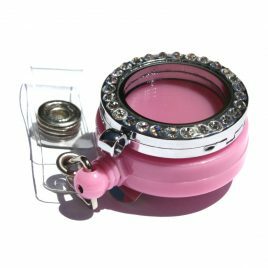 Alloy Red/Pink Badge Holder Locket is alloy and rhodium plated Silver Rhinestone Locket. Magnetic Closure. Badge Clip is Retractable. Back clip does NOT spin. 30mm Locket. Alloy White Badge Holder Locket is made from alloy and is rhodium plated. 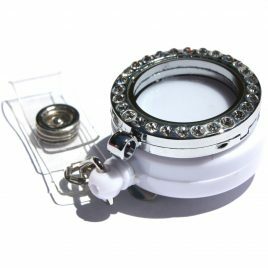 30mm locket with rhinestones. Badge is White. Badge Clip is retractable. Back clip does NOT spin. Silver Locket Color with rhinestone. Color choices are Silver, Gold, Rose Gold and Black (With or without rhinestones). Back clip does NOT spin. 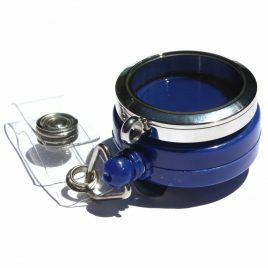 Stainless Steel Blue Badge Holder Locket is Stainless Steel. Locket color choices are Silver, Gold, Rose Gold and Black (With or without rhinestones). Twist Closure. Badge Clip is Retractable. Back clip does NOT spin. 30mm Locket. 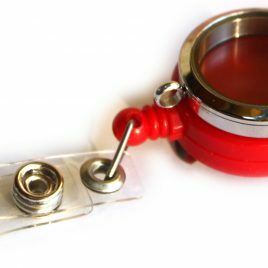 Stainless Steel Pink Badge Holder Locket is Stainless Steel. Locket color choices are Silver, Gold, Rose Gold and Black (With or without rhinestones). Twist Closure. Badge Clip is Retractable. Back clip does NOT spin. 30mm Locket. 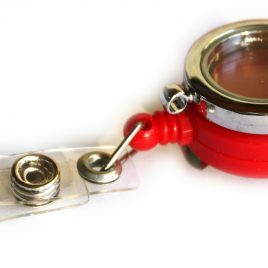 Stainless Steel Red/Pink Badge Holder Locket is Stainless Steel. Color choices are Silver, Gold, Rose Gold and Black (With or without rhinestones). Twist Closure. Badge Clip is Retractable. Back clip does NOT spin. 30mm Locket. 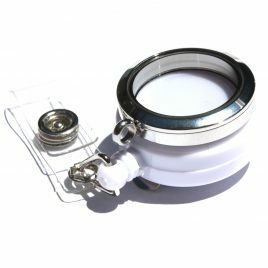 Stainless Steel White Badge Holder Locket is Stainless Steel. Locket color choices are Silver, Gold, Rose Gold and Black (With or without rhinestones). Twist Closure. Badge Clip is Retractable. Back clip does NOT spin. 30mm Locket.